Titanfall 2 was easily one of my top games of 2016. 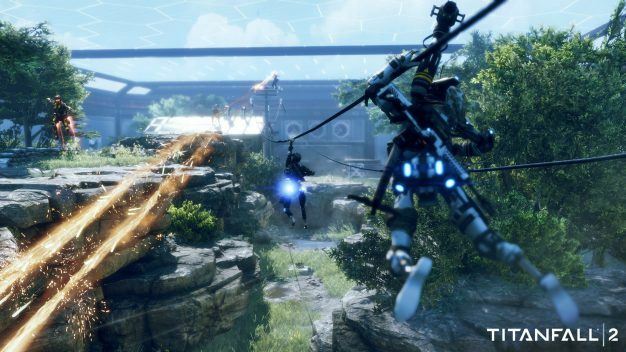 The fast paced style and smooth controls are poetry in motion and Respawn Entertainment just keeps the Titanfall train rolling along by unveiling huge new updates and DLC packs. We’ve seen Respawn unleash the expansive Angel City’s Most Wanted DLC just a few months ago, but I have been waiting with baited breath for more good news in my new favorite franchise. Today my prayers were answered as the official Titanfall YouTube account posted a video showcasing some of the new maps and gameplay for their latest update, live fire. In this gameplay trailer, we see some demonstrations of the titular live fire mode and the hectic action that comes with it. In live fire, each team is comprised of 6 pilots in 60 second rounds with no respawns. Each team battle it out to hold control over a flag in one of the 2 new maps introduced specifically for the mode that focus on choke points, flanks, and sight lines. The scant 60 second round length requires players to act fast and make split-second decisions that could make or break the round. Live fire adds a new layer of strategy to the title, offering an advantage to teams that coordinate and plan their round beforehand. Respawn says that, unlike the other modes of the game, “these aren’t reactionary encounters: it’s best to have a gameplan”. Each pilot must design a loadout that not only plays to their strengths, but to what the maps will reward most. After the players are able to get their hands on live fire and experiment with what works and what doesn’t, I can see this mode potentially offering up Titanfall 2 to the Esports community as a new combatant. 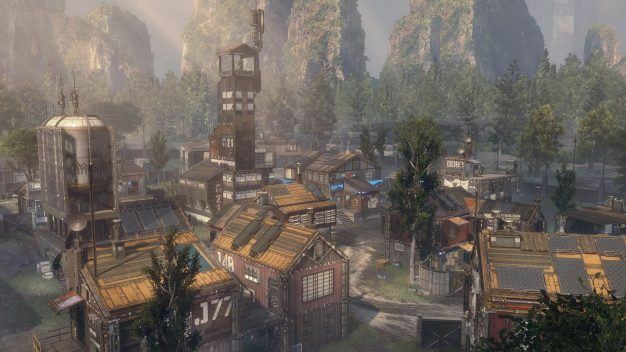 Respawn also confirmed that next month we will be seeing another remade map from the first title in the form of Colony. They weren’t able to offer up any more info on the Colony update, but if it is anything like Angel City’s Most Wanted or live fire we can expect to see more than just a map or mode, as the previous 2 updates added in bonus goodies such as weapons and executions. You can read about the nitty gritty details of live fire here with Titanfall’s official announcement. You can check out my review of Titanfall 2 here.